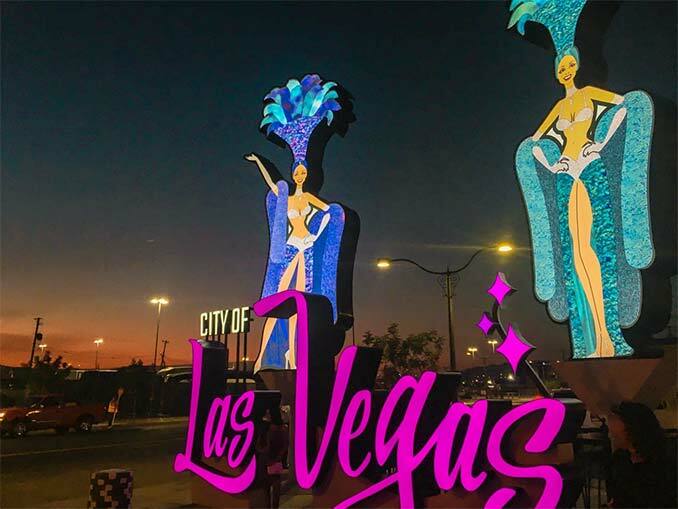 Las Vegas Mayor Carolyn Goodman, former Mayor Oscar Goodman, a few showgirls, and other prominent Las Vegans were on hand Tuesday to unveil the city’s its newest landmark, a pair of 26-foot tall showgirls that will now greet visitors heading northbound into downtown Las Vegas. 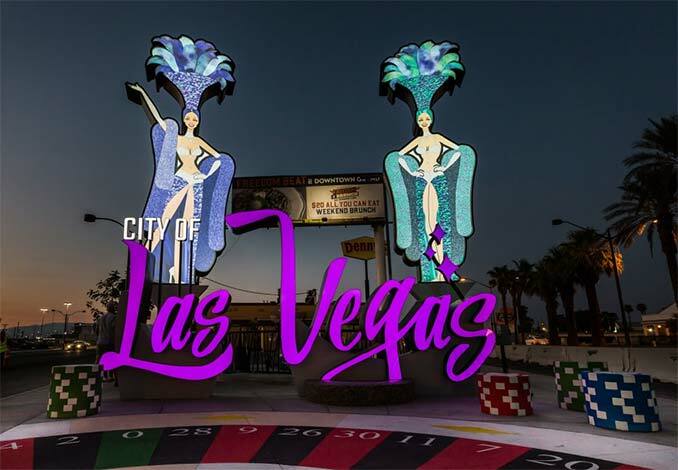 The gateway into downtown Las Vegas sign, located near the Stratosphere at 1810 Las Vegas Blvd. South, features twin showgirls and a 12-foot-tall Las Vegas sign. 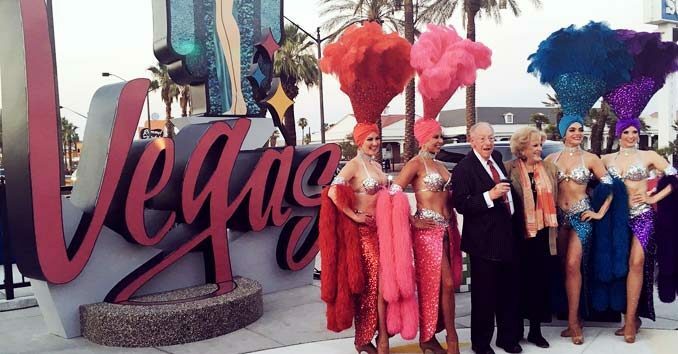 The showgirls are modeled after the showgirls that often travel with former mayor Oscar Goodman. “The showgirls that represent Las Vegas; it’s a brand that’s better than Coca-Cola. It’s a brand that’s better than Google. It’s the brand of Las Vegas,” Goodman said. Later in 2018, an archway over Las Vegas Boulevard near Sahara Avenue will complete the new attraction.